After Google, Twitter, and Facebook, Yelp is arguably the Internet company next in line to have its name converted into a verb. If you want to find a restaurant, a plumber, or even a lawyer, Yelp probably has you covered. As a consumer, you likely use Yelp and similar services all the time; but as a business owner, you realize what a double-edged sword it is. Many restaurateurs have watched their free time vanish along with their hair as they tried to massage their Yelp star rating and appease every last customer unhappy with the crème brulee. Today, however, Yelp is only part of the puzzle. Assorted competitors--some from the giants of the Web--also give consumers a soapbox upon which they can express their views about all manner of service providers. Navigating this landscape of user-review services is tricky, since it’s hard to tell at a glance how popular or comprehensive a site is. Many sites also license reviews: A site may look stuffed to the gills with user-written restaurant reviews, yet the posts are actually borrowed from Citysearch or OpenTable. A full comparison of user-reviews sites. We analyzed the biggest, most popular websites that let users review service-based businesses. Read on for a sense of the size and relative reach of each of these sites, as well as a look at the costs and benefits of becoming a member, and the policies that protect the site from spam and shield the business owner from abuse. The 800-pound gorilla, Yelp has massive power in this industry. Restaurants and other service businesses go out of their way to cater to prolific Yelpers, to curry those coveted five-star reviews. While Yelp is best known for its reviews of restaurants, it covers the gamut of the service industry. 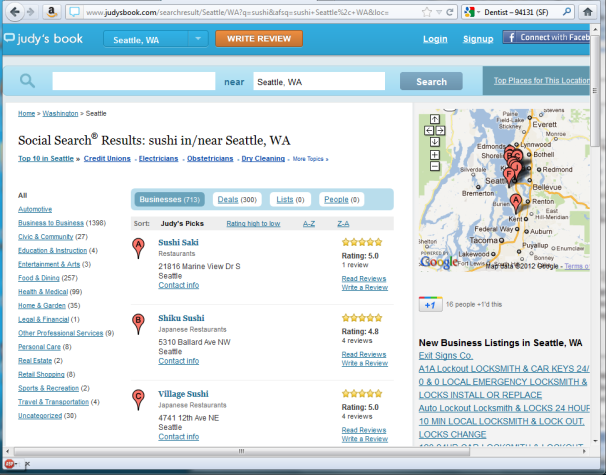 And although some small-town shops may not have any reviews, Yelp will often have those companies in its database. Yelp has long been under fire, however, for a host of perceived slights, including accusations of phony reviews (both good and bad) and predatory practices that allegedly goad the recipients of negative reviews into upgrading to a higher tier of service. Yelp defends against these accusations by saying that it actively polices reviews through an automated filter system (which protects against both malicious content and shill reviews), and that all businesses can claim their account on the site free of charge. Business owners can respond to any review, as well. But even paying members can’t remove negative reviews, and instead can only upgrade their pages and sponsor search results. Prices range from $300 to $1000 per month. A Groupon-style Yelp Deals service is available. Yelp may not be the final word in customer-review sites, and upgrading can be exorbitantly expensive in comparison with the costs at other review sites, but its clout is undeniable. Ignore its reviews at your peril. 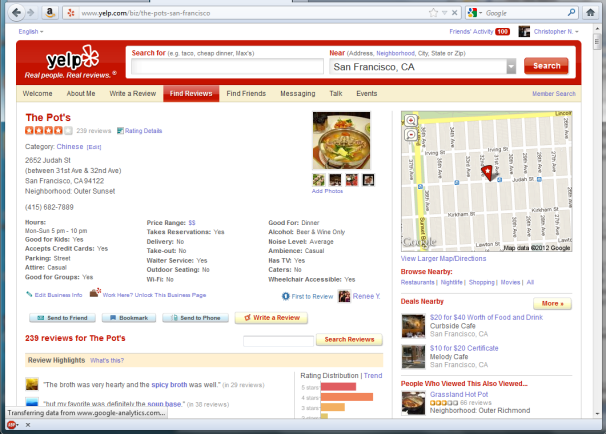 Launched as Hotpot in November 2010, Google's review and rating service folded into Google Places in April 2011. It is now adding a million reviews a month, becoming one of the fastest-growing services on this list. Tightly integrated with Google's search and map services, Google Places is free for both users and businesses, and results automatically show up during searches. Once businesses claim their Place, they can flesh out their information, and add interior photos and videos, as well as respond publicly to individual reviews (good or bad). But that’s where Places ends: To promote your business further, you’ll have to turn to AdWords. Google acknowledges that it has work to do on curtailing abusive and spammy reviews, but the company notes that businesses can flag any bad or malicious content as inappropriate through links on every page. Overall, given the popularity of Google in general--and Places’ zero-dollar price tag--there’s no reason not to claim your Google Place page, keep it updated with photos, and promptly address any concerns that users raise there. While the site has about a million user-written reviews, the vast majority of Judy’s Book’s content comes from partner sites, namely Citysearch and Demandforce. In fact, in a half-dozen sample searches in cities across the country, we didn’t find a single review originally written for the site. It’s free for businesses to claim their page on the site, and upgrades ($50 to $150 per month) get you a deeper profile with no ads on it, submission to search engines, and other perks. If your store has multiple locations, you can list up to five addresses under a single name with an upgraded account. Upgraded users can also respond to reviews (via email to the site). Considering its size, Judy’s Book may not offer a compelling argument for upgrading your account, but there’s no reason not to claim your business’s page for free. This Columbus, Ohio-based business started back in 1995 with the goal of building a clearinghouse for users to provide commentary and reviews on local service businesses. Unlike most of the sites in this roundup, Angie’s List doesn’t cover restaurants--the bread and butter of most user-review sites--and it isn’t free for users. Angie’s List turns the model on its head: Consumers have to pay a membership fee to access the site. Businesses do not (and cannot) pay a fee to be listed. 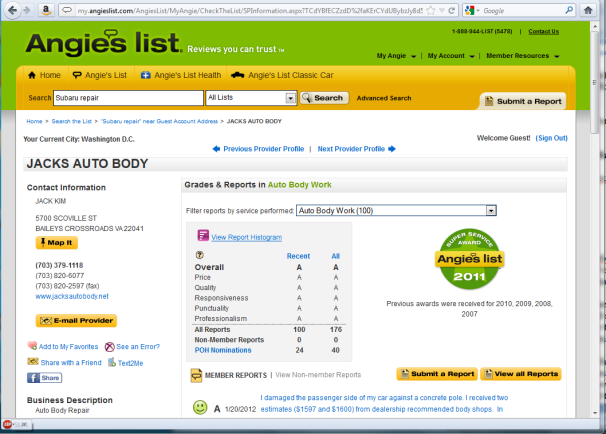 Businesses with good ratings (at least a B) can advertise, but only if they offer Angie’s List members a discount. The company says that anonymous reviews are not allowed, which minimizes spam. And companies registered with the site can respond to reviews, free of charge. With 2 million members, Angie’s List isn’t huge, but since they are paying customers, they’re likely more engaged than casual Yelp or Google Places users. If you’re in Angie’s wheelhouse--especially if you operate any kind of home-repair business--it makes sense to keep tabs on your listing here. 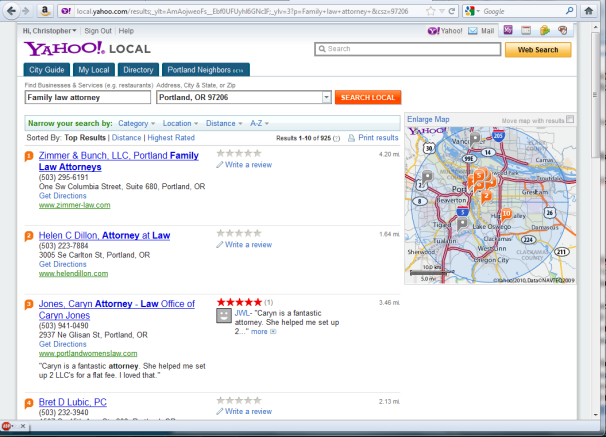 Similar to Google Places, Yahoo Local automatically adds reviews to search results and maps that users generate through searches on the broader Yahoo network. As such, you don’t need a separate account on Yahoo Local to see reviews: They’re automatic for anyone using any Yahoo property. Yahoo Local is huge, with more than 50 million reviews written on the site, and tens of millions more available via professionally curated partner content. Search for a restaurant, for example, and you’ll probably get dozens of user reviews, plus dozens more drawn from blogs and magazines. Claiming your business’s listing is free. Upgrades (which give more information on your page, photos, and the option to add coupons) cost $10 per month, making Yahoo Local one of the best bargains in this roundup. Businesses, upgraded or not, can respond to user reviews on the site--but, uniquely, so can anyone else, simply by clicking the 'Comment on Review' button. This flexibility means that reviews have the potential to be full of back-and-forth chatter instead of simply standing alone. Spam is moderated by machine and by humans. Yahoo may not be the typical searcher’s first stop for review content today, but Yahoo is still a major Web destination, and Yahoo Local is surprisingly busy, stuffed with user commentary. Even if you don’t upgrade, it’s probably worthwhile to take a look at the service from time to time, to make sure that your customers there are happy. 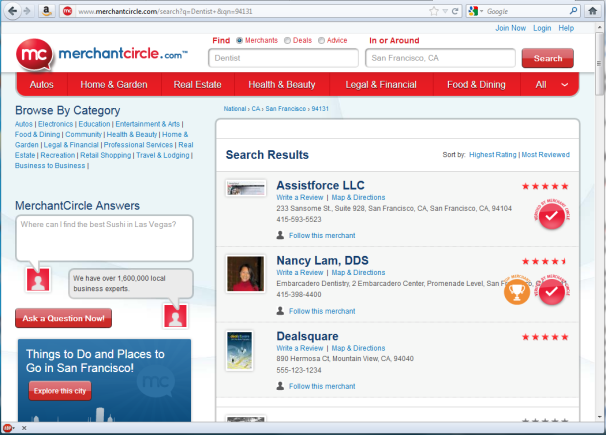 In our sample searches, MerchantCircle, a smaller site, turned up a few questionable results. 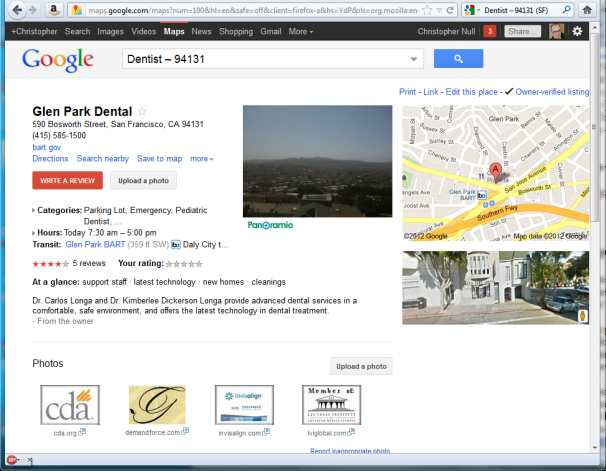 A search for “dentist” in our zip code, for instance, offered a virtual-assistant service as the number one result and a daily-deal site as number three. In addition, few businesses listed on the site appear to have any reviews associated with them at all. Claiming your business's page is free, and upgraded listings run just $10 per month. The company also offers search engine marketing (SEM) services, for $29 to $249 per month. Businesses can respond to negative reviews (presuming that they actually get reviewed). MerchantCircle blocks spam algorithmically, and through disallowing anonymous comments. MerchantCircle bills itself more as a business-to-consumer social network than as a user-review website, but the lack of much activity here will make it a tertiary site for most businesses seeking to police their user reviews online. It is, however, a minimal investment for an upgraded account. This venerable website is seemingly more involved with editorial content (and its popular “Best of Citysearch” polls) than with user reviews, and the volume of advertising on Citysearch can actually make it tough to find legitimate results among the chatter. Thirty percent of the site’s traffic comes from mobile devices. As with Yelp, restaurants and bars are by far the biggest draw here. 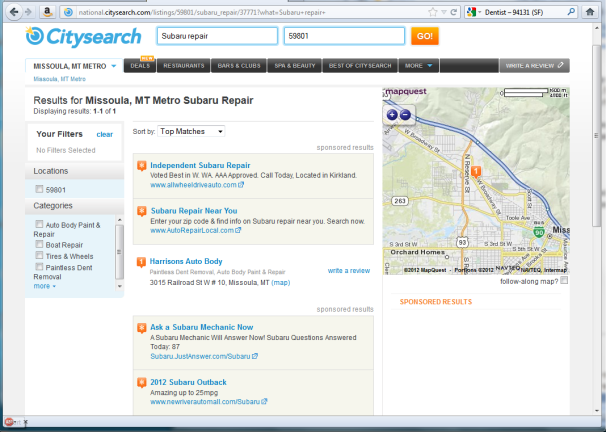 If you run another type of service business, chances are good that it won’t draw much attention from Citysearch. Claiming your business's page is free. Upgrades let you enhance your listing page with the usual bio, photos, video, and extra verbiage. Upgraded accounts can also add deals and special offers, respond to reviews, and run targeted ads on the site. Pricing is performance based, and Citysearch does not release that information publicly. Spam is moderated via both humans and machine. Altogether, Citysearch's site is a fairly typical offering for this category, but primarily worth a look only if you serve food or drink. Owned by the same company that owns Citysearch, Insider Pages offers features and policies that are the same as Citysearch’s. But this site is essentially geared toward filling the hole that Citysearch leaves, namely in coverage of service businesses that users of the larger site tend to ignore. The biggest draw here is Doctor Finder, a fairly self-explanatory tool that lets you locate a nearby doctor who--most important--accepts your health insurance. Other services, including home repair, hair salons, and auto services, are also covered. Like Citysearch, Insider Pages does not disclose pricing. 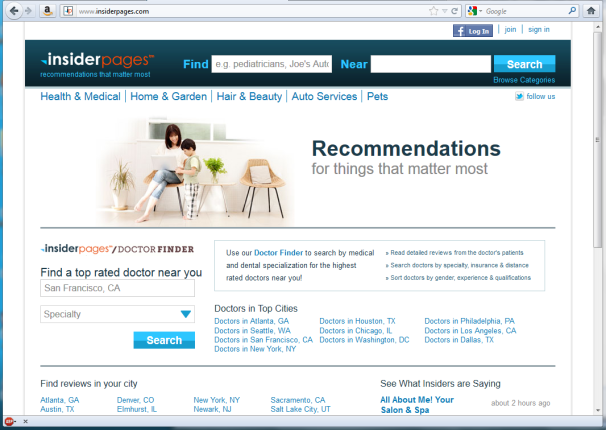 Physicians especially might want to consider a listing here. If you’ve taken a vacation in the past few years, you’re probably familiar with TripAdvisor, which bills itself as the world’s largest travel site and travel community. The site’s coverage of this industry is massive: Its 60 million reviews make it nearly three times the size of Yelp, despite having fewer than 2 million businesses listed. 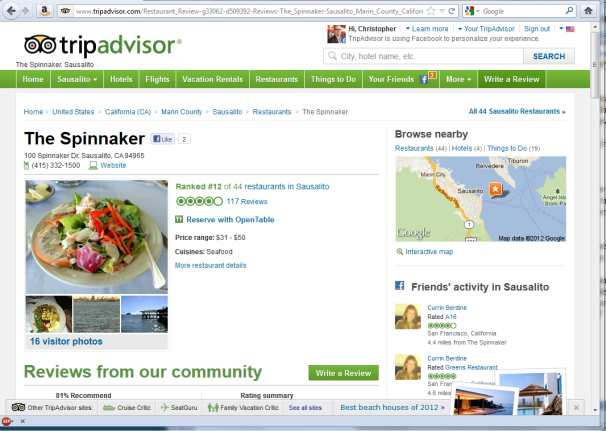 There’s no denying that if you operate a hotel, you need to be involved with TripAdvisor. Restaurants, particularly those that cater to tourists, are also popular here, but on a considerably lesser scale. Hotels can claim their TripAdvisor page for free and respond to comments, and TripAdvisor says that it actively polices the site for fraudulent activity--with stiff penalties for businesses that try to game the system. Upgraded accounts let businesses add Web links, contact information, and special offers to their pages. Fees to upgrade to the Business Listings package depend on the number of rooms your hotel has, ranging from $40 per month for a single-room inn to hundreds of dollars per month if your establishment has more than about 25 rooms.